Object comprises three ceramic DIPs mounted on conductive foam. 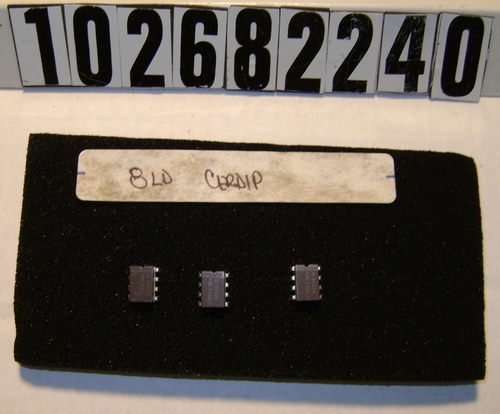 A hand-written paper label on the foam reads "8LD CERDIP". Dimension is of one chip.